Create professional sports graphics for your trainings sessions, presentations, books or websites. 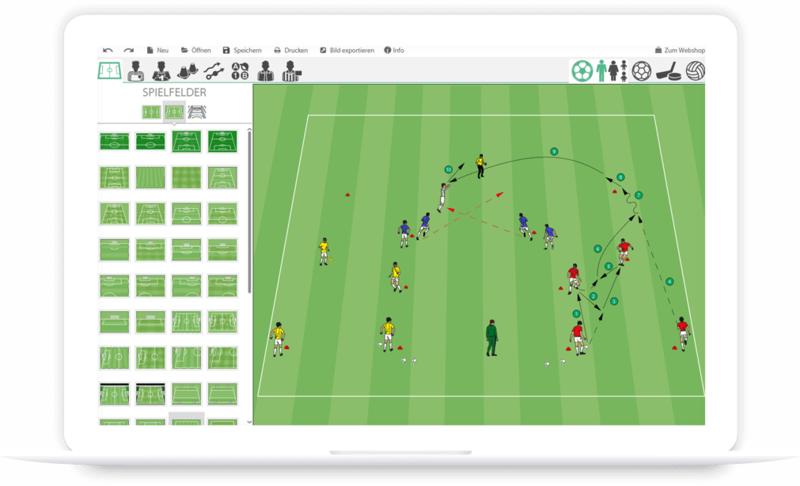 The Nr.1, used by over 20,000 coaches worldwide! 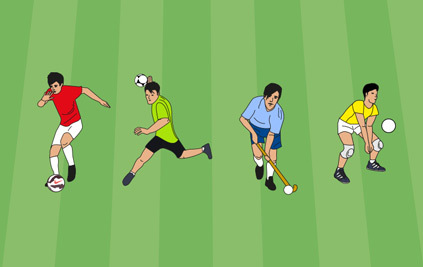 easy Sports-Graphics is extremely easy to use. 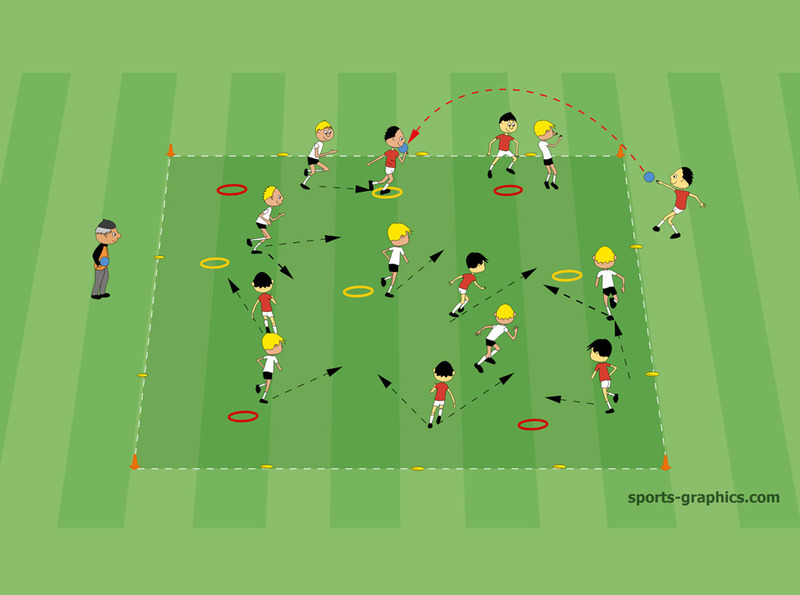 Even complete beginners can create professional looking sports graphics. 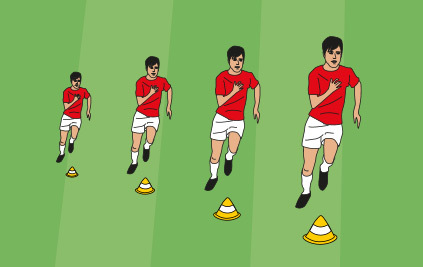 Whether you want to create a simple warm-up drill or convey a complex game play, you are always in control! No need for hours of how to get started, right after the installation you can create amazing looking sports graphics! easy Sports-Graphics was designed first and foremost with the user in mind, you will always have the right tools at your side to achieve results! 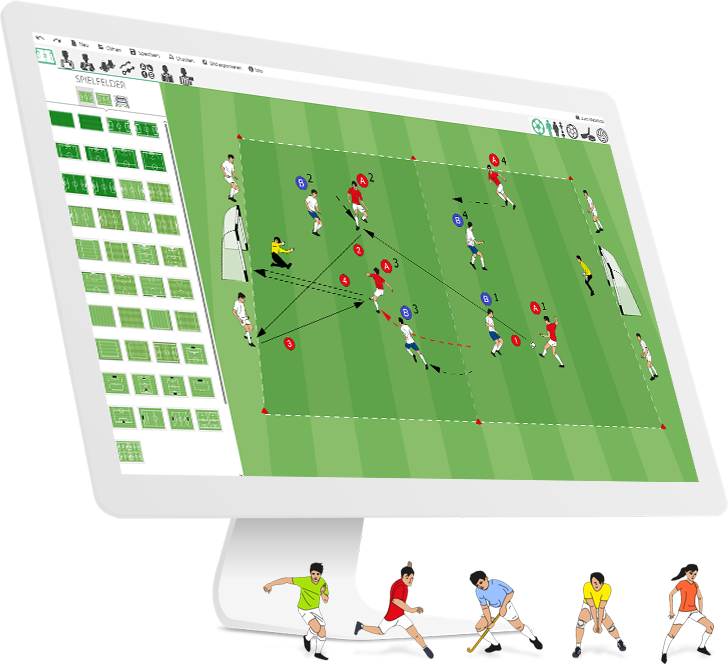 ESG is used by more than 20,000 coaches, authors and publishers worldwide, making it the Nr.1 sports graphics software in the world! Since years I have been working with easy Sports-Graphics and easy Animation. Not only for my products and presentations, but also for my work as a coach both programs have become irreplaceable! Easy to Understand, Fast Results! Sports graphics created with easy Sports-Graphics, help you to convey your message in an easy to understand manner. This way your players know exactly what you want from them! easy Sports-Graphics is available for Football/Soccer, Volleyball, Handball and Hockey. On each version, experts in their field were involved! Includes 4 different Sports - Football/Soccer, Handball, Hockey and Volleyball! More than 200 different playing fields, tools, goals, coordination ladders etc. This software is a revolution! All the Functionality You Need! easy Sports-Graphics has all the functionality and tools you need to achieve great results immediately. Football/Soccer, Handball, Volleyball and Hockey. 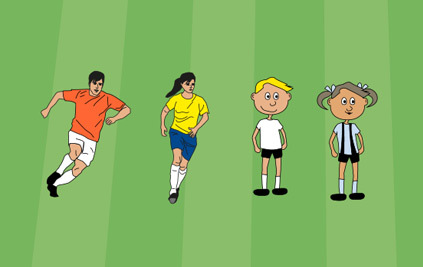 Each Sports comes with its own set of players, tools and fields! 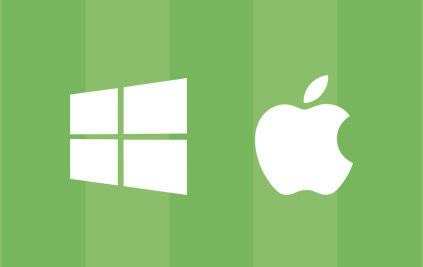 All graphics that are made with easy Sports-Graphics are perfect for print or usage on your website! 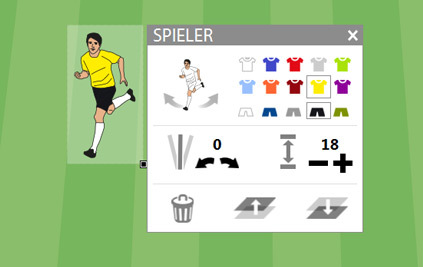 The player menu allows you to change jersey colors, size and direction of the player. The arrows can be used to display similar player types! 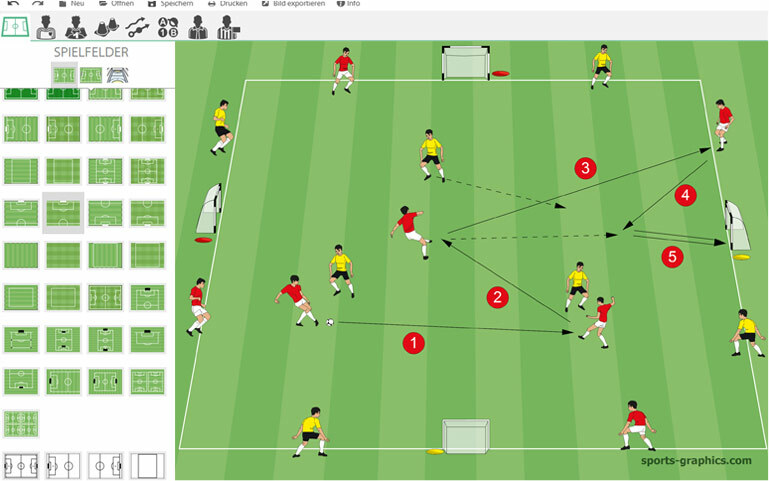 Easily display running- and passing lanes. Where should a player go? What should happen next? Lanes can be added and changed fast and easy! Scale Players and Objects to your preferred size with drag and drop! 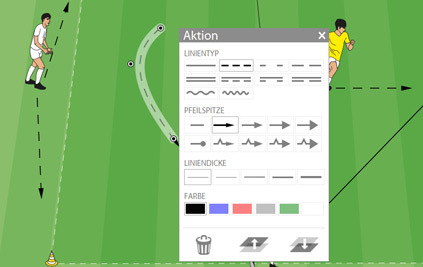 Explain what is happening and add text to your sports graphics. 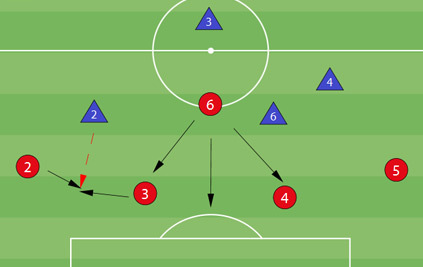 Especially for those graphics where tactics play a major part, we have included a set of useful tactic tools! 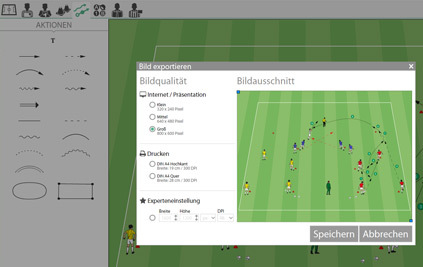 Get easy Sports-Graphics today via our webshop or try the free demo version! See for yourself how easy it is to create great looking sports graphics that convey your messages and ideas!